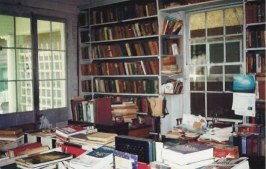 The last Librarian, Mrs. Catherine James, kept the doors open to provide reading literature to citizens of "The Pass" as well as tourists and other locals along the Coast. 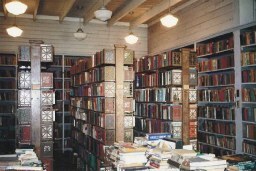 When asked about the Library hours, Mrs. James would state, "We are open in the mornings between the hours of Ten a.m. and Noon and we continue to have our doors open from Monday through Saturday.” The Town Library always preserved an atmosphere of hospitality famous to Mississippi, and was appreciated by visitors and new-comers alike. 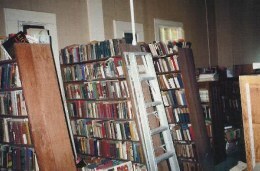 Most of the books on the shelves had been donated through the years by local citizenry. Pass Christian is a community that is very dependent upon its volunteers. Hardly a month passes by without a major Annual Event supporting Social or Charitable endeavors --- most of which offer some variations on Food, Wine, and Song. In addition, there are the many Volunteers who are the unseen and yet participate in numerous other necessary elements of the community. One of these roles was the Librarian of the Town Library. The most recent was Miss Catherine James who was affiliated there for more than 25 years. 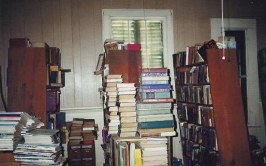 Of herself, she did not consider the title of Librarian, she was "just the one who keeps it open." "We keep everything --- that's why people like us." 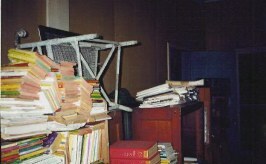 Rigidly, she maintained the Library's guest register and everyone had to sign it before entering the premises. 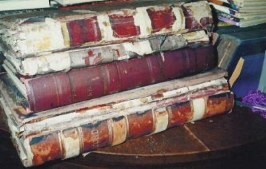 Among the books are some rare volumes such as "The Writings of Jefferson," and "The Life and Times of George Washington," --- not only famous works --- but famous people strolled through and signed the register such as President Woodrow Wilson and more. 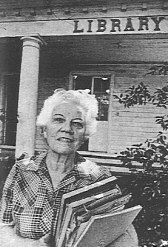 Miss James stated that Hurricane Camille had only brought water to floor level. Only the front of the building was littered by debris from other buildings. During her final year, she was proud to say that the old, wood-frame building was "free of rats, roaches, or even book mites." Shaded by trees and fronting the Gulf, the building is not air-conditioned, but keeps a pleasant temperature from breezes off the water. 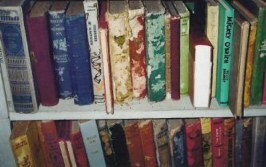 Until her death, she would keep the doors open --- but after she passed away, the building was kept shut for several years and indeed the varmints did their damages as seen by the photographs below. 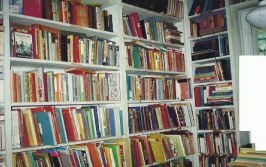 Once the Library was deeded over to the Historical Society in 2003, a new legion of Volunteers emerged to cull through the myriad of books -- some of considerable value and many of little worth. This task of refining continues in slow progress because the pace is tedious.